When Michael Jackson arrived in Bahrain in the summer of 2005, the King of Pop simply wanted to move on with his shattered life. He left a world of accusations, finger pointing attorneys and reckless paparazzi. This hostile world turned him from a hero into a near broken man, triggering a nightmare among his millions of fans worldwide. 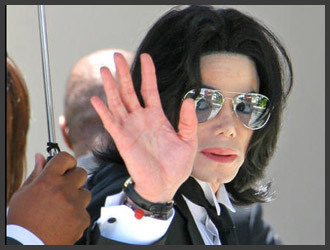 In the month of May of the same year, a five month trial against Jackson at the court of Santa Maria, California, ended. The singer was charged with seven counts of child molestation. Although he was acquitted in all cases, the top star said that he had enough of his home country and eventually settled over to Bahrain in the Persian Gulf. This move was not so exotic as it seemed at a first glance. His brother Jermaine Jackson embraced Islam in 1989 and has been fascinated of the Arab world since. Jermaine repeatedly encouraged Michael to follow and to change his faith. 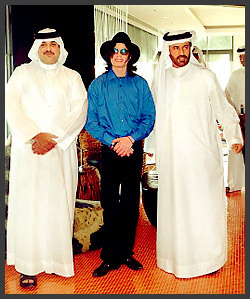 The moonwalker never regretted exchanging his Neverland Ranch with the oriental lifestyle in Bahrain. 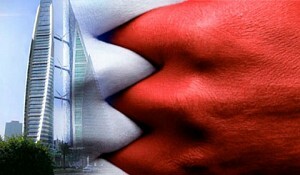 Jacko enjoyed his time in Bahrain and told the media that he considers the island as a very peaceful place to live. 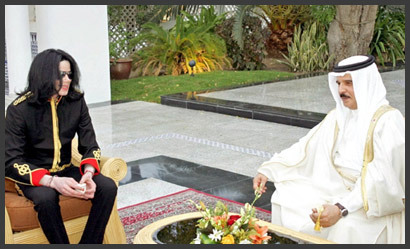 Officially, Jackson was a guest of Sheikh Abdullah bin Hamad Al-Khalifa, son of King Hamad bin Isa Al-Khalifa. 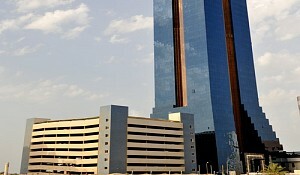 Jackson, who lived in a palace at first, later moved into a mansion in Sanad, about 10km south of Bahrain’s capital Manama. Sheikh later accused Jacko of not fulfilling a joint music venture and sued Jackson for $7 million. Jackson denied the charge, claiming the money was “a gift”. The case was eventually settled but the terms and conditions have never been disclosed. In a press statement, Sheikh Abdullah expressed his deep grief of Michael Jackson’s sudden demise on June 25. “The world has lost a giant in the music industry”, His Highness said, "and we are all very saddened by that." Most of his fellow countrymen agreed. Asked by TV reporters on the streets of Manama, Bahraini citizens expressed their sadness but also showed pride that the King of Pop spent some of his last years in the Kingdom of Bahrain.